Have an electrical problem? Call us, we can help! You Local Electrical Solution Team - Electrician Dacula, Buford, Lawrenceville, Loganville, Snellville, Grayson, Sugar Hill, Braselton & More. Electrical Pros offers Licensed Electrical Services for Residential & Commercial Remodeling Projects. It is important to hire a licensed contractor when wiring electricity. It is important to hire a licensed contractor when working on these vital parts of a building. 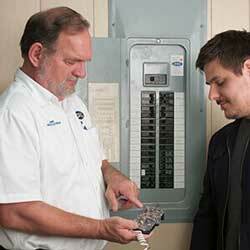 Electrical Pros offers Licensed Panel or Fuse Box repair and Replacement. Safety Electrical Inspections is a speciality of Electrical Pros. It is important to hire a licensed contractor when inspecting your personal or business investment. 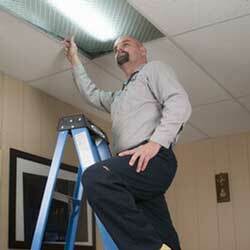 We are professionals at protecting your home against an Electrical Surge. It is critical you take the time to ensure that your home has what it needs before a power surge. 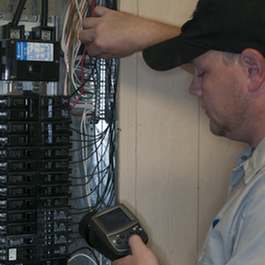 We provide quality electrical service to customers with honesty and integrity. We give our honest opinion and give upfront pricing before starting the job. We have been the electrician Dacula and Metro Atlanta has trusted for over 25 years. We aim to make our customers, customers for life. Flexible Scheduling – Your time is valuable to us, and we understand your busy schedule. Call now to set up an appointment that fits YOUR schedule. Cleanliness – We respect you and your home and will leave everything in order as if we had never been there. Alcohol & Drug Free – All employees receive periodic drug tests and background checks during employment. Up-front Solutions and Pricing – We charge by the job, not by the hour, which saves you time and money! We offer several solutions so that you can decide what is best for your family. Also, we will agree on a price before we begin your repair. Georgia State Licensed Electricians – Our service technicians are fully qualified state-licensed and/or IEC certified electricians who receive ongoing electrical education and training which assures you the repair will be completed correctly the first time. Respectful and Kind Staff – All technicians take as much pride with their friendliness as they do in their workmanship in order to create long-lasting customer relationships. Full Warranty – We offer many products and services with a lifetime guarantee.